Tonight I write you, happily, from my couch. I'm in leggings and a sweatshirt, drinking a Boulevard Wheat, watching Top Chef, and waiting for my husband and dinner to arrive. It's been a long week, so I'm perfectly content where I am. This Friday's Fancie's was "Dress Yourself." Ever gone shopping with someone who points out an item that's "so you?" That was the inspiration. This sweater is only $44 and just might make my Christmas list. I love it! 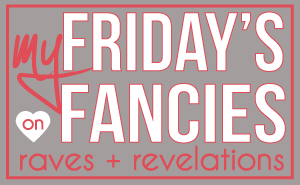 Link up with Friday's Fancies and show us your personal style! I love that sweater!!! It looks so comfy! My fav during the winter : ) Have a great weekend!! i love grey & cream together - & this look is just so cozy! I can absolutely see you in that outfit, especially the earrings and scarf! Beautiful!